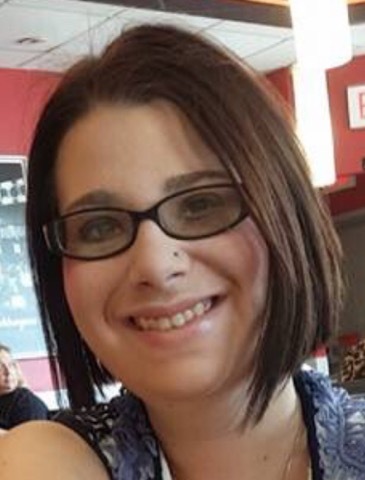 Meghann K. Ewing, 25, of Kokomo passed away as a result of an auto accident late Friday night, February 1, 2019, in Hamilton County. She was born April 9, 1993 in Kokomo to Jody L. (Mansfield) Ewing and Michael Ewing. She was a graduate of Kokomo High School. Meghann is survived by her maternal grandmother, Beverly Miller of Kokomo; paternal grandmother, Jane Ewing of Winamac; Surviving aunts and uncles, Dan Miller, Galveston; Aaron (Angie) Miller, Noblesville; Bryan (Jana) Miller, Kokomo, Becky (Bryan) Ewing, Greentown; Peggy Surbey, Jim (Deb) Ewing; and Patrick (Theresa) Ewing; half brother and sisters, Aaron (Kristina) Ewing, Amy Berkshire and Alyssa (Roy) Owens. She is also survived by nieces and nephews, Aiden, Ava, Gabe, Elijah, Emelie, Sebastian, Ethan, and Lexi. Meghann is preceded in death by her parents, Jody (Mansfield) Ewing and Michael Ewing, grandfathers, John Mansfield, and Richard Ewing, step grandfather, Don Miller, uncles, Chris Miller and Tom Ewing. Funeral services will be held at 2:00 pm Thursday, Feb. 7, 2019 at Murray Weaver Funeral Home in Galveston with Pastor Randy Blankenship officiating. Burial will follow in Galveston Cemetery. Visitation is planned from 12 noon until the time of services at 2 p.m. Online condolences may be sent to the family atwww.murrayweaverfuneralhome.com Murray Weaver Funeral Home in Galveston has been entrusted with arrangements.